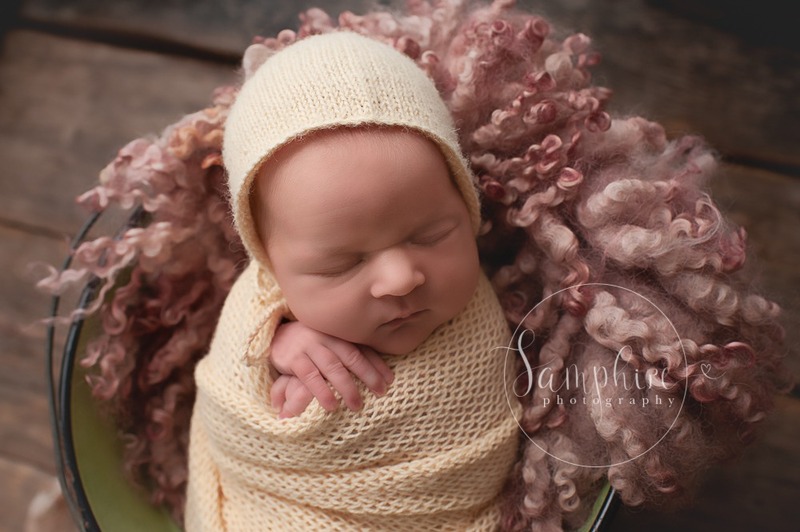 I have said it before and I will say it again, I just love it when clients return to the Samphire studio, so I can see either how the babies have grown, or to meet their new baby siblings. And sometimes I get to do both in one hit, like with this fabulous session. I first met Zach when he came to see me for his newborn portraits…. ….and then the gorgeous young man recently came back to see me, bringing his beautiful new baby sister, Jessica. 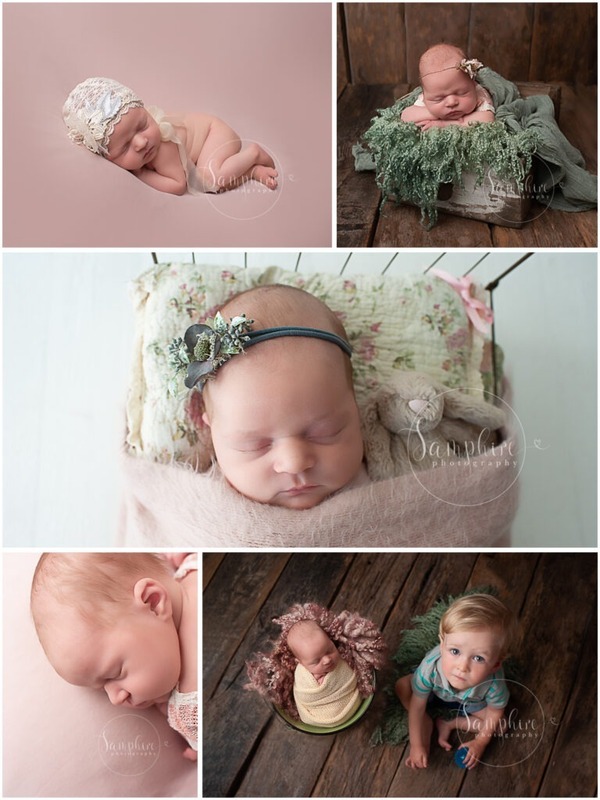 This little lady was an absolute poppet and using a super pretty mix of soft pinks and greens, with lace and layers and a touch of floral, I captured plenty of wonderful images for Mum & Dad to treasure, including some with her big brother of course. 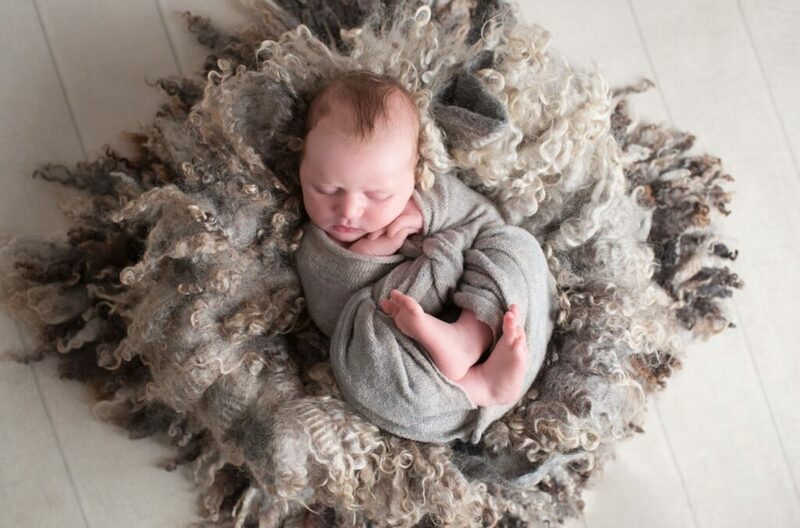 In all my newborn sessions, I endeavour to capture all those little details which are all too easy to forget as the first few weeks of parenting with a new baby fly by. As well as plenty of face and full-length images, I always make sure I photograph the tiny details; fingers, toes, lips and lashes, as they are a wonderful lasting memory of just how tiny and precious a newborn baby is. 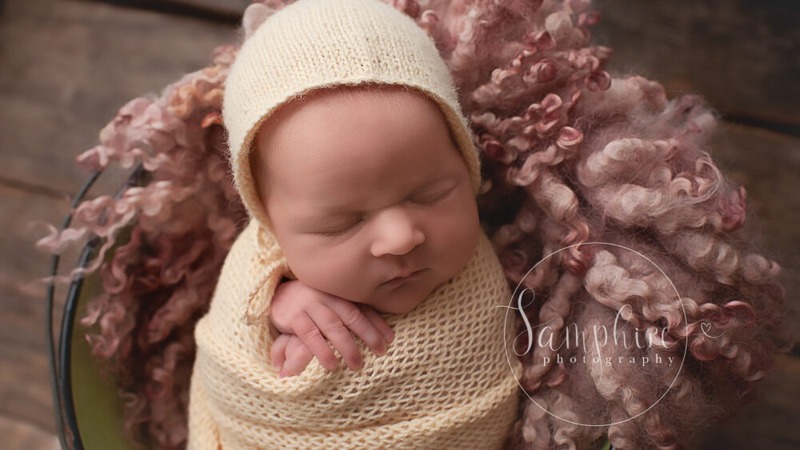 If you are interested in booking a newborn studio session with Samphire Photography, please email me on info@samphirephotography.co.uk or call me on 07989 594236 to discuss.